I intend to describe in this post, the commands that I believe to be the most useful in handling files for anyone who is starting on linux , with some parameters to make life easier. Anyone who thinks any more is needed, says, I add that in the post. Deleting files is easy, easy. Just use the command rm . Using the-f argument, force will force the removal of the file. As easy as the others, just use the command mkdir . 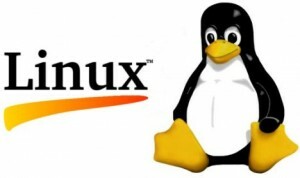 Who ever heard of linux, ever heard the phrase “Linux has no viruses”. Well in my opnion .. a lie, but most of the reason is due to permissions management, linux will not describe it deeply, it will be another post in this series. Who uses a host with suPHP, must have seen a lot 500 internal server error . This occurs because the folder must have permission 755, and files 644 permission. To create a folder with permission, just use the option -m .
did not like the name of this item, if anyone has any better, please comment. If you want to create a folder inside another that does not exist yet, you can create everything straight. If you tried to remove a folder, you should have seen the error rm: can not remove “folder name”: is a directory . Simple to remove a folder, you have to remove it recursively. For this we will use the argument -r .
The linux has no specific command to rename. Mv is used. This item is here because it is directly related to this manipulation, but will again be discussed in more detail in a future post. Permission to change something, would use the chmod command.